Awards In ( ever hopeful). & Awards Out. 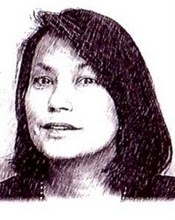 An Interview with Debra Brown. Welcome to an Interview with Debra Brown. Bio: I grew up in Minnesota and the San Diego area. My husband and I have also lived in northern Idaho and now, since the early 90’s, we are in Oregon. My education was in medical related fields, but I stayed home with our children. Over the years, I have studied homeopathy and art. Both fields have enriched my personal life, and I have made my living in the artistic realm. I have really enjoyed my venture into writing in the last year, and I hope to make it my career from this time on. A brief synopsis. A foundling infant, Miss Emma Carrington, grew up to become the companion of Winifred, The Countess of Holmeshire. Though she was given all the material comforts of a lady, she was certainly not considered to be such by many when dragged along into snobbish aristocratic circles. Join her as she endures rude comments in polite society as well as hopeless feelings for a man of higher station. Laugh at the humorous romantic disasters amongst the servants downstairs, and try to solve the mysteries that are woven through the story. This Jane Austen and Charles Dickens style story will take you from a stone castle, to an English village and on to London for the Season. Leave modern cares behind to take tea, banquet and dance the night away at the Midsummer Night’s Dream Ball. Prepare for a great surprise in the end. What made you decide to write this book? I read a lot as a child. While working my jewelry making business, I used to watch many period movies. I really enjoyed Jane Austen and Charles Dickens stories, and many others. The recent recession took away my job in the interior design field, and I decided that I would invest a few years into writing, hoping to make it a career. Though my education was in other fields, I was willing to work hard at making this work, and I have really enjoyed writing. Where did the title come from? 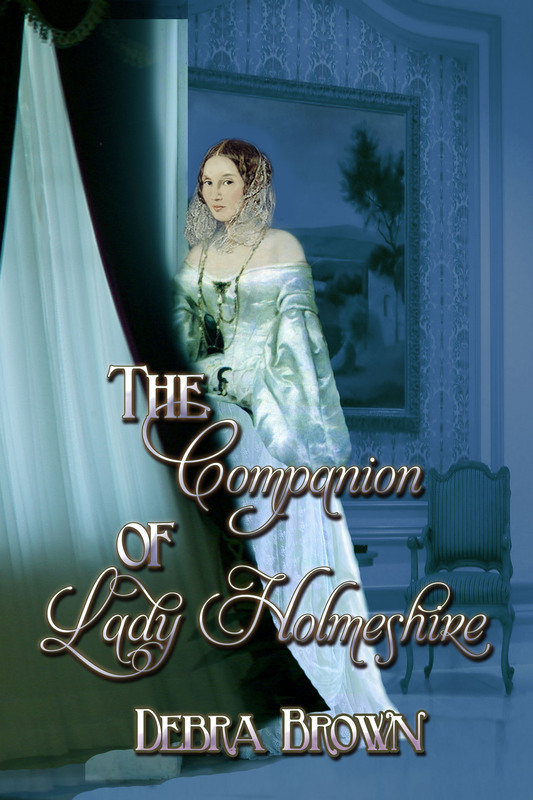 I felt that using the phrase The Companion of Lady Holmeshire would have some intrigue, especially for my target readers. People would wonder about the companion, who she was and what happened to her, and Anglophiles would be caught up by the noble title. Making up the name Holmeshire was a bit of fun. I knew that “shire” sounded British, and I borrowed the rest from Sherlock Holmes. Do you always write in this genre? Yes, and I believe that I always will. It is the genre that I love. What was your inspiration to write and when did you start? It was a combination of my enjoying the movie I had just watched and the fact that I was suddenly free to write. It was November of 2010 when I made the decision, and I immediately went to the library for picture books of English sights to help me get a start with ideas. What was your destination to publishing? ie are you self published. I had thought that I might self-publish, simply because the competition was so harsh to find an agent and be published. I did, though, apply to a small publisher and was accepted, which was a real treat.I am published by World Castle Publishing. Do you have a website to share? My book website is http://authordebrabrown.blogspot.com and my blog is http://englishepochs.blogspot.com. I also have begun a new venture, a blog for authors and readers of English period literature. That will soon be publicized. Any links to the book/books The book is available in digital format for ereaders through <a href=”http://www.barnesandnoble.com/w/the-companion-of-lady-holmeshire-debra-brown/1104151137?ean=2940012824844&itm=2&usri=the%2bcompanion%2bof%2blady%2bholmeshire“>Barnes and Noble</a>, <a href=”http://www.coffeetimeromance.com/BookStore/index.php?main_page=pubs_product_book_info&cPath=119&products_id=5530&zenid=e1567619daea6b813064679977878678“>Coffee Time</a>, <a href=”http://www.smashwords.com/books/view/71163“>Smashwords</a> and <a href=”http://www.amazon.com/Companion-Lady-Holmeshire-ebook/dp/B005A8SJ0K/ref=sr_1_1?ie=UTF8&qid=1310275178&sr=8-1“>Amazon</a>. Please feel free to share an exerpt. Chilly winds filled a once-shining black carriage. Over many miles and due to the dry conditions of the week, it had acquired a uniform coating of dust. Warming stones had gone cold on the journey from London to northern England, and Miss Emma Carrington pushed them from her feet. She had become exhausted from the bumping and jostling, the changing of horses and the searching for meals in frightening and unfamiliar places. What relief she felt as she traveled through the last village, Holmeshire, the center of her childhood memories and the home of her friends. A short ride remained, though it seemed eternal, out of the town and up the hill through an intimidating, ivy-covered stone gateway. The road rose to an old masonry castle, which tonight was set beneath a large moon. Built as a stronghold in the years of Scottish wars, the fortress’ cold, formidable look was deceptive, for the warmest hearts in Britain dwelt inside. The horses came to an impatient stop at the first edge of the house, wanting to be led to their feed. The coachman helped Emma step out of the carriage and hoisted her luggage off its top. She was in fine dress, but she approached the heavy servants’ door, turned her great key and pushed her way through. She shushed the man carrying her heavy case, as most of the domestics had gone to bed. But someone was watching from a window in an old watchtower, now filled with beds, and the sight of Emma caused excited proclamations. Numerous nightcapped revelers quickly spilled into the kitchen, stone from ceiling to floor. “Miss Emma!” squealed the scullery maid, Nora. “Are you really here? Look at you, all fancy!” Indeed, here she was with the ringlets and refined dress, the multitude of petticoats and the soft, tended hands of a London beauty. Nevertheless, a hefty man picked her up and spun the laughing girl around, below hanging tin-coated copper pots and iron utensils, until the housekeeper appeared and snapped a rebuke. The butler, Barreby, was still fully dressed and standing in the adjoining pantry auditing the silverware. He closed and locked the cherry wood hutch and, quite excited, hurried to notify the sleeping Countess of Holmeshire, The Lady Winifred Bradley, that his Tiger Lily had arrived. Even she came down to the kitchen to join in the celebration, which had produced the cake, puddings and tea prepared for Emma’s return. After all enjoyed these delights, the lady ordered that bottles of fine wine be brought out from the cellar for all to share. Tonight she sat in the kitchen, just this once, enjoying the reunion that had burst through the thick of night there, smiling as the many servants relished their first taste of such an expensive bottle and listening as they questioned Emma about her time away. Though Winnie read the mandatory books and magazines on etiquette and lived the required leisurely life of a Countess, she had a place in her heart for humanity. She had chosen for herself a butler who would maintain order amidst laughter and look out for the welfare of the lowest maid. She at last sent the exhausted girl upstairs, overjoyed to be home, and everyone else off to their once-again cold beds. Such midnight festivities rarely occurred downstairs in great houses, but Emma had, after all, returned. A night-robed footman, tired and tousled of hair, brought Emma’s belongings up to the elegant bedroom that awaited her. She was no longer a servant.